The twists and turns of the Columbia River story continue to play out — the latest development is Oregon Governor Brown writing to the commission (whom she appointed) asking them to revise their decision to abandon planned sunsetting of gillnets in the main-stem of the Columbia River. Doing so will bring ODFW back in line with commitments, legislation, and the concurrent agreements made with Washington State. We continue to be grateful that the Washington Fish & Wildlife Commission showed their leadership on this critical issue. They have been a steady hand through this, and if the Oregon Commission comes around anglers in both states will have them to thank. Be the first to comment on "Oregon Gov. 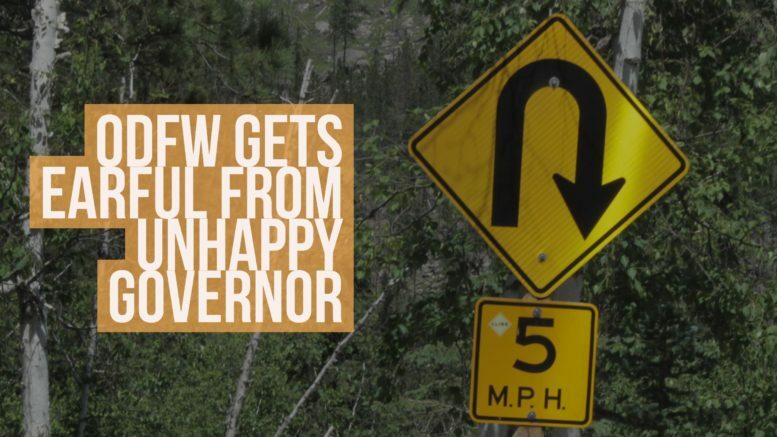 Brown to ODFW: Reverse Course"